How do I change the focus company? 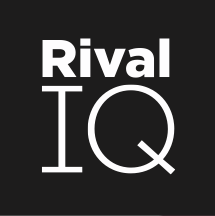 Landscapes in Rival IQ have a focus company - the "Focus Company" used as an anchor or focus for the landscape. The "Focus Company" company is set by landscape - if you'd like to change this value for your landscape, go to the Companies area and click "Change Focus Company" in the Actions dropdown. Once you update the dropdown, you'll see the landscape oriented to that Focus Company.